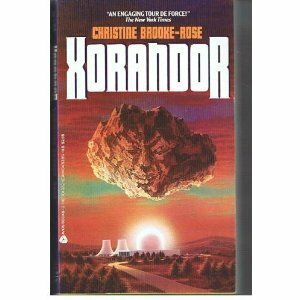 I just heard that Christine Brooke-Rose passed away. I first came across her work thanks to Brian McHale’s Postmodernist Fiction (1987), where he wrote about her 1975 novel Thru. At the time, I was deeply into concrete poetry, in particular novelists who used concrete poetry techniques (Kenneth Patchen, B.S. Johnson, Ann Quin). So I was hooked. I picked up the 1986 Christine Brooke-Rose Omnibus, which contains Thru as well as its three “companion” novels: Out (1964), Such (1966), and Between (1968). All of them are decidedly unusual; like Johnson and Quin, Brooke-Rose was heavily inspired by the French New Novel of Alain Robbe-Grillet, Marguerite Duras, and Nathalie Sarraute. (She translated Robbe-Grillet’s In the Labyrinth.) Like all of those authors, Brooke-Rose was a brilliant maker of contemporary fiction who deserves to be more widely read. Can on sit on a campus? She sits on a castle terrace in Spain. Caramba not picaresque that’s as dead as the dread-letter novel. turning her back to you. It is a warm summer evening. 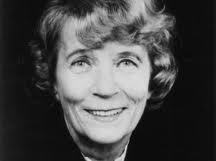 Christine Brooke-Rose wrote a tremendous amount, including other novels and works of criticism, as well as collections of stories, poems, drawings, and essays. Plus two autobiographical novels—I’ve lots to catch up on! Meanwhile, godspeed, Ms. Brooke-Rose. You were great. You will be missed.